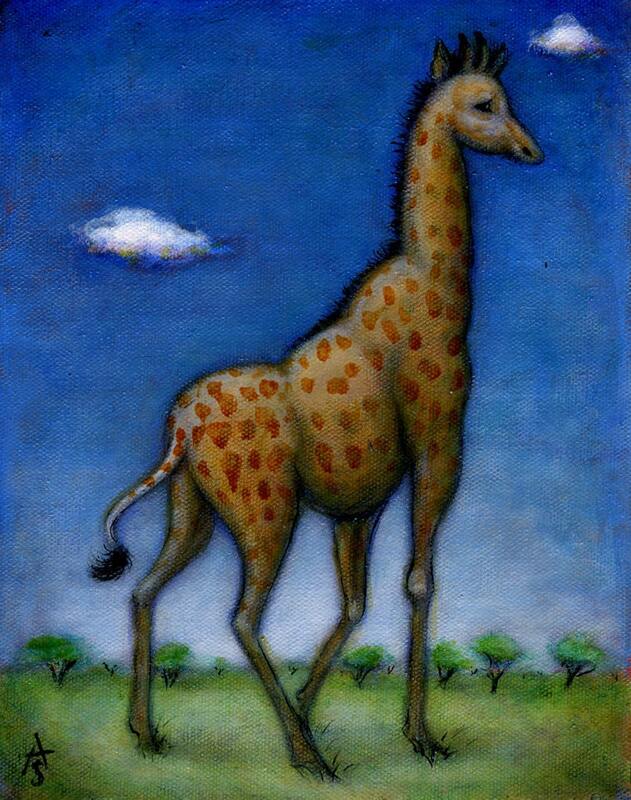 My version of a Giraffe! 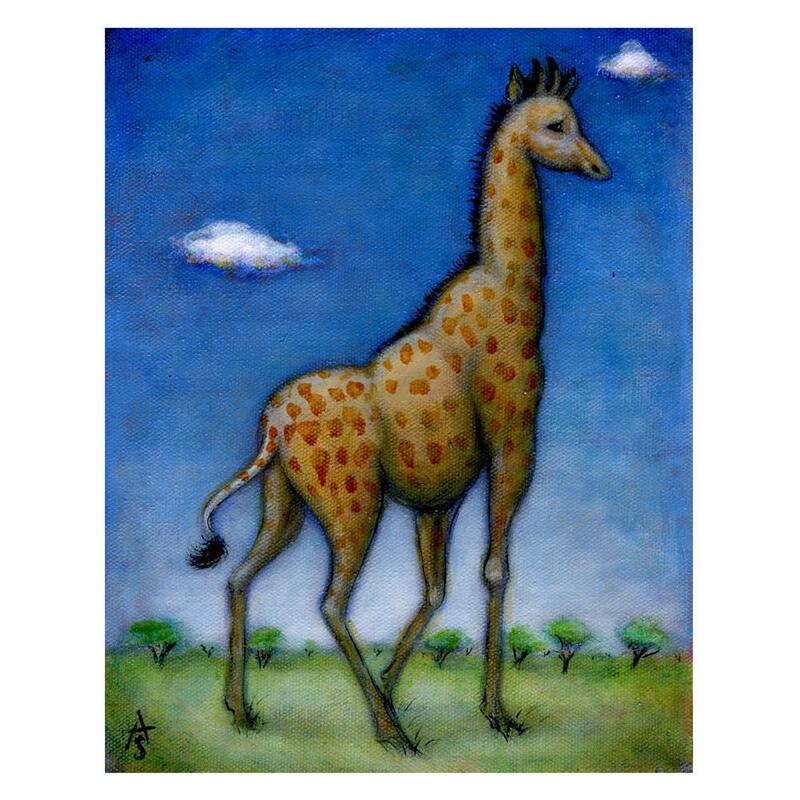 This is an original oil painting, on stretched 8x10 inch canvas with gallery-wrapped .75 inch deep sides which have been painted black, so framing is optional. A light coat of varnish has been applied to protect and enhance the colors. The painting is signed with my initials on the front, and signed, titled and dated on the back. It is also strung with wire so it can be hung up right away, straight out of the box.